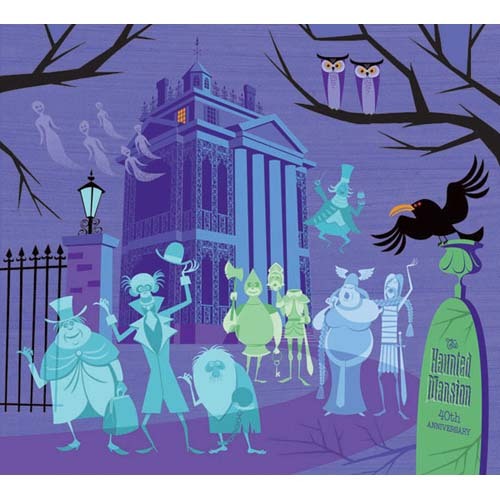 Disney Television Animation has announced development of an animated television special based on the popular Disneyland ride, “The Haunted Mansion.” While no air date is set, Disney did point to some of the artists involved in the project. Look for book illustrator and horror artist Gris Grimly to art direct the film. Joshua Pruett will produce the project, with Grimly and Scott Peterson executive producing. Pruett and Peterson are also joining forces to write the TV special. Disney also announced four new pilots in development for possible expansion into full blown series on Disney Channel and Disney XD. First up is Billy Dilley’s Super Duper Subterranean Summer, created by Mickey Mouse‘s Aaron Springer. Summer break takes an unexpected turn when Zak and Marsha end up stuck in uncharted land at the center of the earth with eccentric classmate Billy Dilley. Next up is Douglas Furs, a proposed series created by Jesse LeDoux and Matt Olsenare. The series would take place deep in the woods. Beyond human reach, there exists the thriving animal community of Douglas where Barry the bear, the world’s least-handy handyman, takes it upon himself to fix all the town’s problems. Also in the works is a pilot called Future-Worm!. This one is authored by Ryan Quincy, late of South Park. Ibn this pilot, a boy creates a time machine lunch box and befriends a fearless worm from the future. Finally, Disney announced Very Important House. Invader ZIM‘s Jhonen Vasquez and designer Jenny Goldberg combine talents to create this show. In this show, 11-year-old Frolie moves into the Very Important House and suddenly finds herself in the role of caretaker of the universe. Again, these shows are just in development; there is no indication that they will become full-fledged shows.